Rip it Up editor and hip hop supremo, Philip Bell (DJ Sir-Vere) drops his Top 10 selection of Aotearoa hip hop music videos. The clips mark the evolution of an indigenous style, from the politically conscious (Dam Native, King Kapisi) to the internationalists (Scribe, Savage). 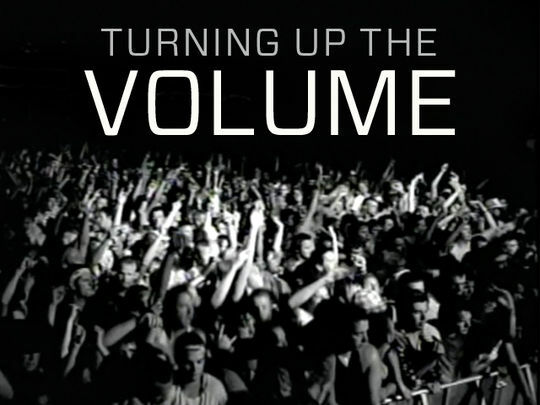 It includes iconic, award-winning efforts from directors Chris Graham, Jonathan King, and more. 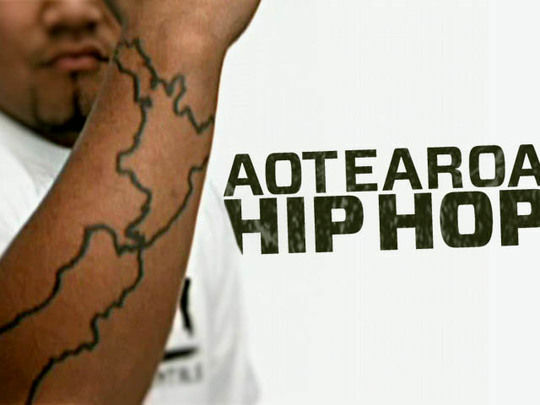 The Aotearoa Hip Hop Summit held in Auckland 2001, was the biggest hip hop event ever staged in New Zealand. This documentary showcases the hottest names in the four elements of NZ hip hop: break dancers, graf artists, MCs and DJs. Featuring international acts from Germany and Australia, with Ken Swift representing old skool break dancing from New York and Tha Liks from Los Angeles. Local acts include Che Fu, Te Kupu, King Kapisi, P Money and DJ Sir-Vere. Presenters are Hayden Hare and Trent Helmbright. 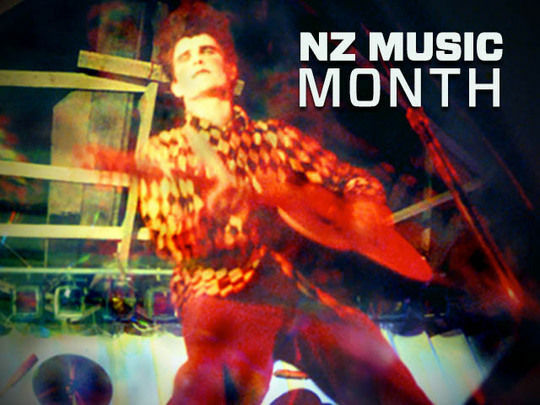 This NZ Music Month collection showcases NZ music television, spun from a playlist of classic documentaries and beloved music shows. From Split Enz to the NZSO, Heavenly Pop Hits to Hip Hop New Zealand, whether you count the beat or roll like this, there’s something here for all ears (and eyes). Plus music writer Chris Bourke gets Ready to Roll with this pop history primer. The final episode of this long-running TVNZ show for Māori youth comes from a BBQ party atop Auckland's TVNZ HQ. When I AM TV began in 2008 it was all about Bebo. Five years later it’s about Bieber (the singer #tautokos the show), Skux and Twitter, and the hashtag #KeepingItReo. Hosts Kimo Houltham and Chey Milne review the year’s highlights: from Koroneihana to a boil up with Katchafire; from dance crews to hunting for Jeff da Māori, with Liam Messam and The Waikato Chiefs; from a Samoan holiday (with co-presenter Taupunakohe Tocker), to defining mana in 2012. "Not many, if any ..." Aotearoa hip hop was turned on its head when Christchurch rapper Scribe burst onto the scene in 2003 with his debut single, 'Stand Up/Not Many'. It shot to number one and stayed there for an impressive 12 weeks, helping propel his first album The Crusader into the top position. Scribe became the first Kiwi artist to simultaneously have a number one single and a number one album. The Crusader has since sold in excess of five times platinum here and in Australia. An icon of homegrown hip hop, Scribe's second album, Rhymebook was released in 2007. Further singles have followed. 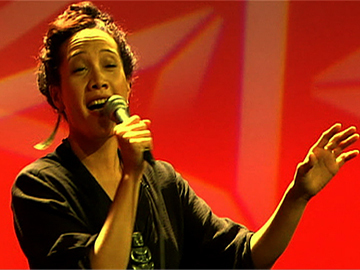 TV One gave Aotearoa the chance to show it’s ‘got talent’ via two top-rating series of the UK-spawned format. This excerpt from the final of the 2013 season is the opening segment, where the last of the finalists are found, and host Tamati Coffey introduces the judges: model/actor Rachel Hunter, musician Jason Kerrison and international guest, choreographer Cris Judd (J.Lo's ex). The performers, ranging from a hip hop dance crew to an opera singer, compete for a Toyota RAV4 and $100,000 cash. The eventual winner was Renee Maurice from Wellington. Samoan-born MC Feelstyle has long been lauded amongst Aotearoa's hip hop elite for his ability to craft music in both his native Samoan and English. The rapper earned a place in the history books, under the name RIQ, when he edged out Upper Hutt Posse to win the country's first ever MC battle in 1987. 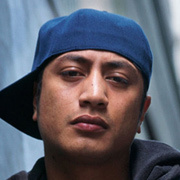 He's been in demand since, working closely with a list of Kiwi music's who's who and dominating the 2005 Pacific Music Awards with debut album Break It To Pieces. Their website lists them as the "pioneers of horrified hip hop" — and trailblazers they were when they released their first album under the name Native Bass in 1992. At the time, hip hop was practically unheard of in Aotearoa. 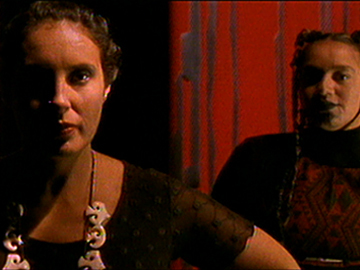 Later renamed as Dam Native, Danny Haimona and Bennett Pomana were credited with raising awareness of Māori issues through their music. The duo's first album, Kaupapa Driven Rhymes Uplifted, has been acclaimed as the best hip hop album made on Kiwi soil.